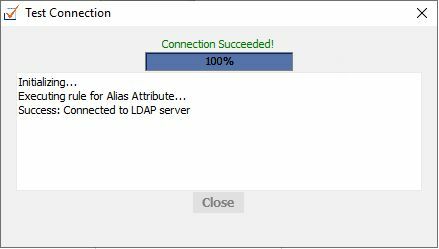 Replace domain names in LDAP email addresses (of users and groups) with this domain name. 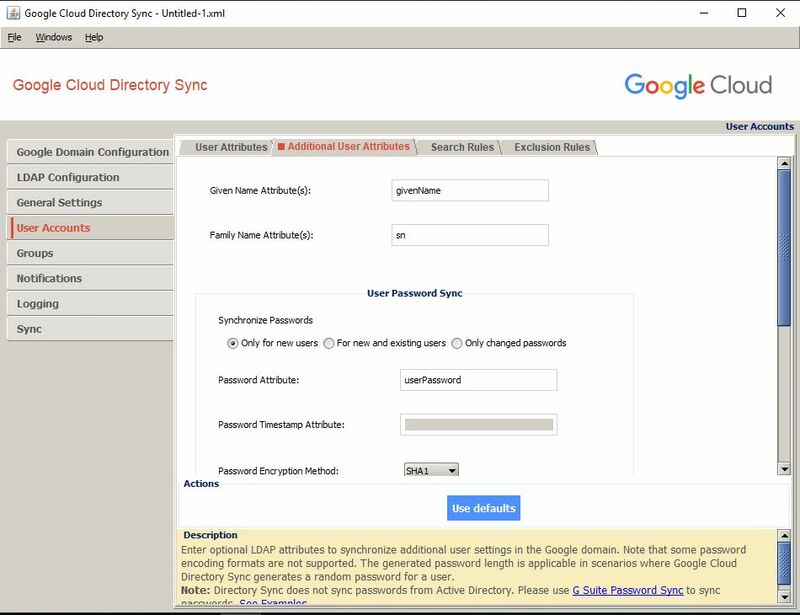 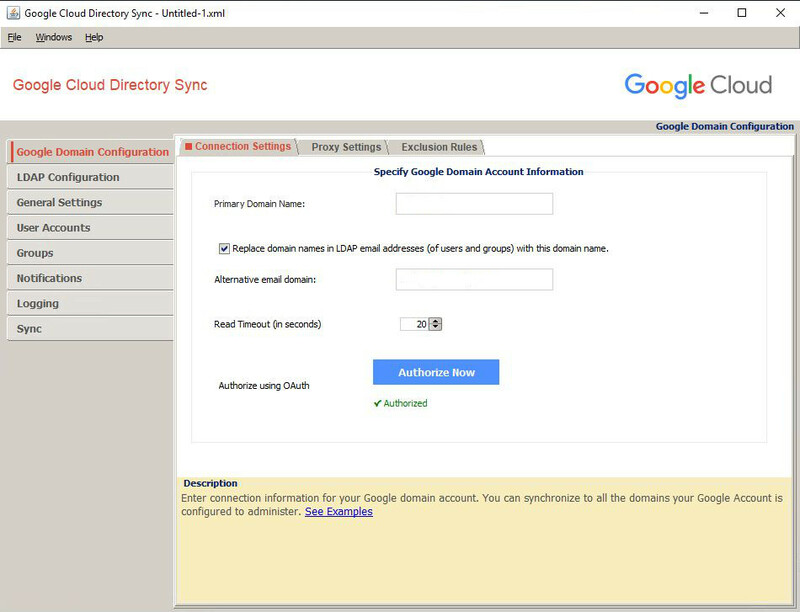 Suspend Google domain users not fount in LDAP, instead of deleting them. 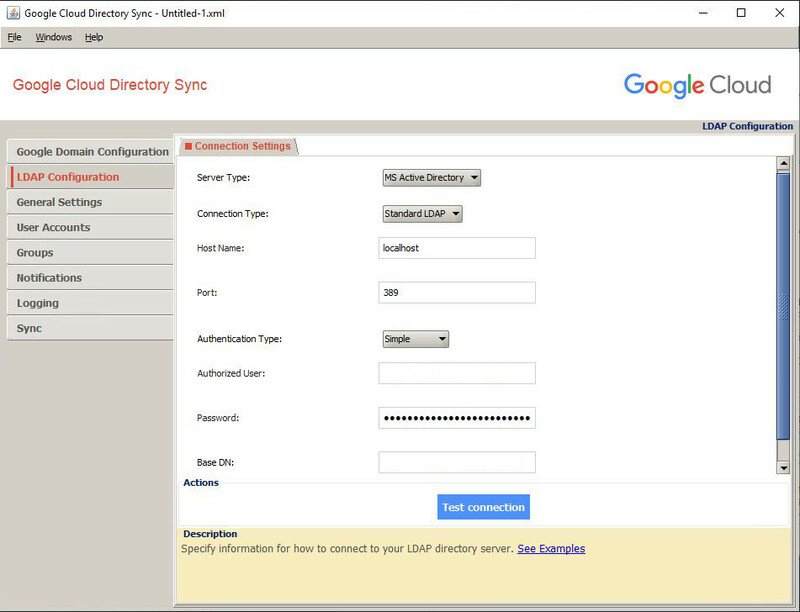 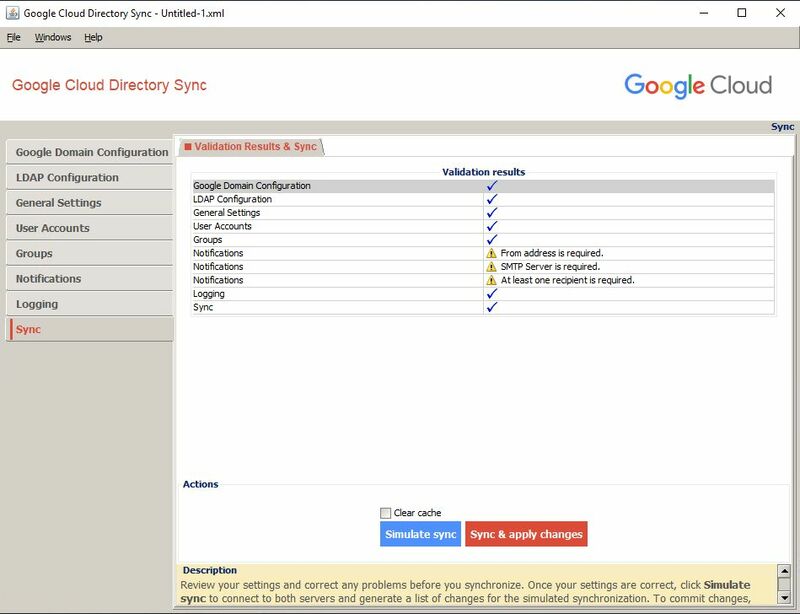 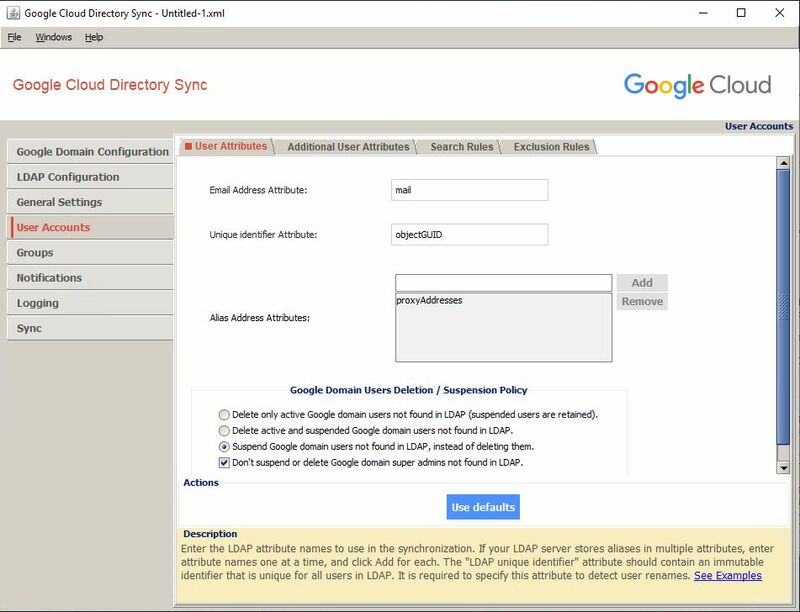 Don’t suspend or delete Google domain super admins not found in LDAP. 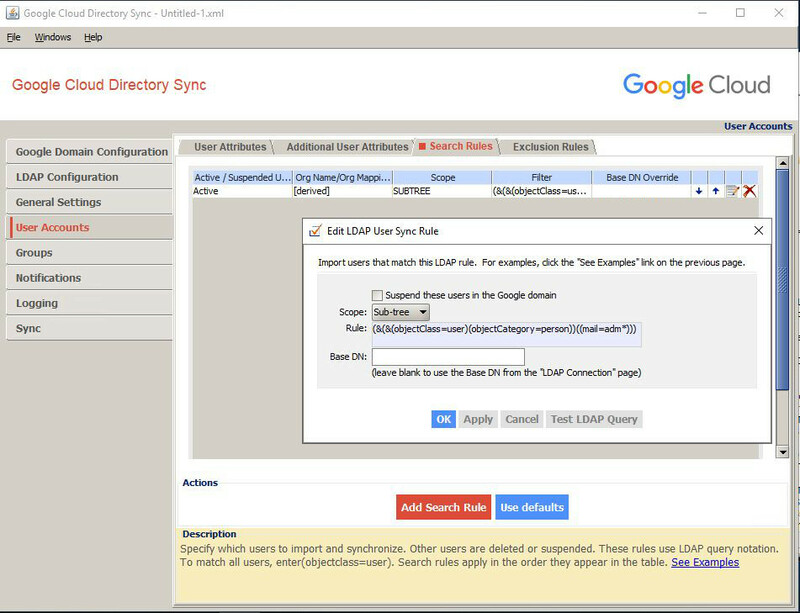 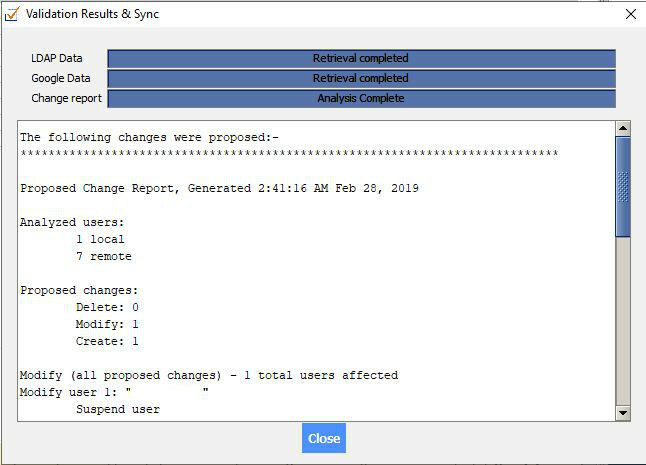 Specify which groups to import and synchronize. 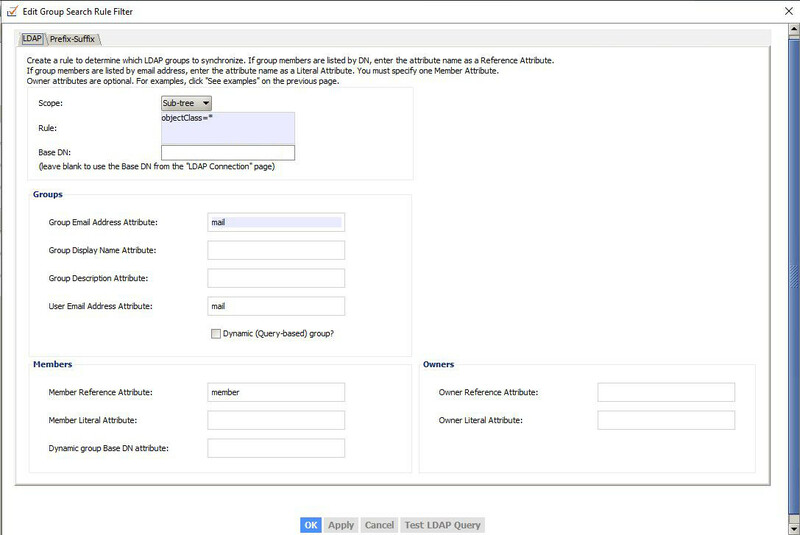 Other groups are deleted.